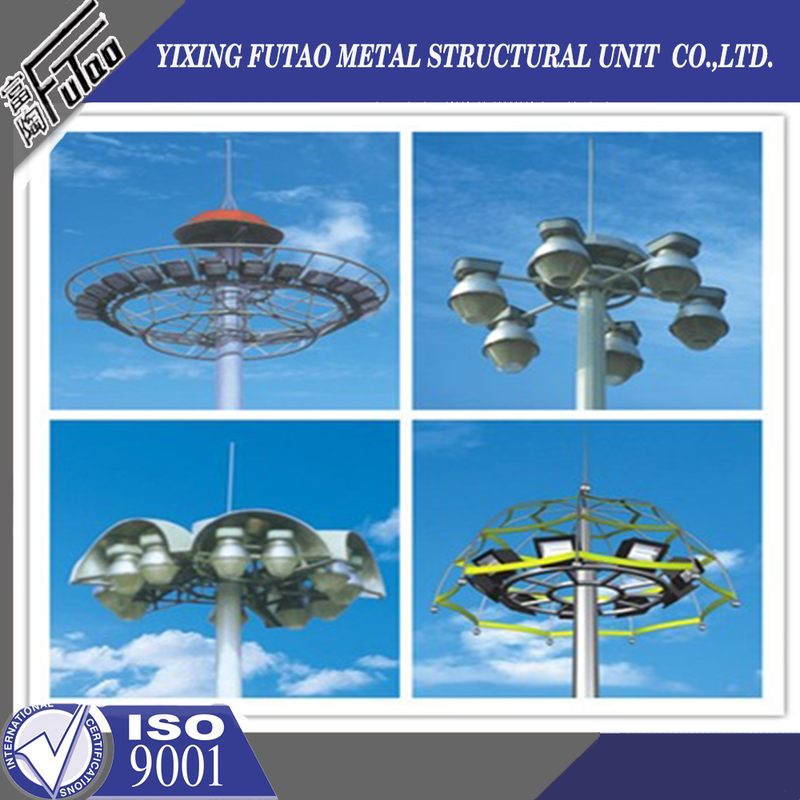 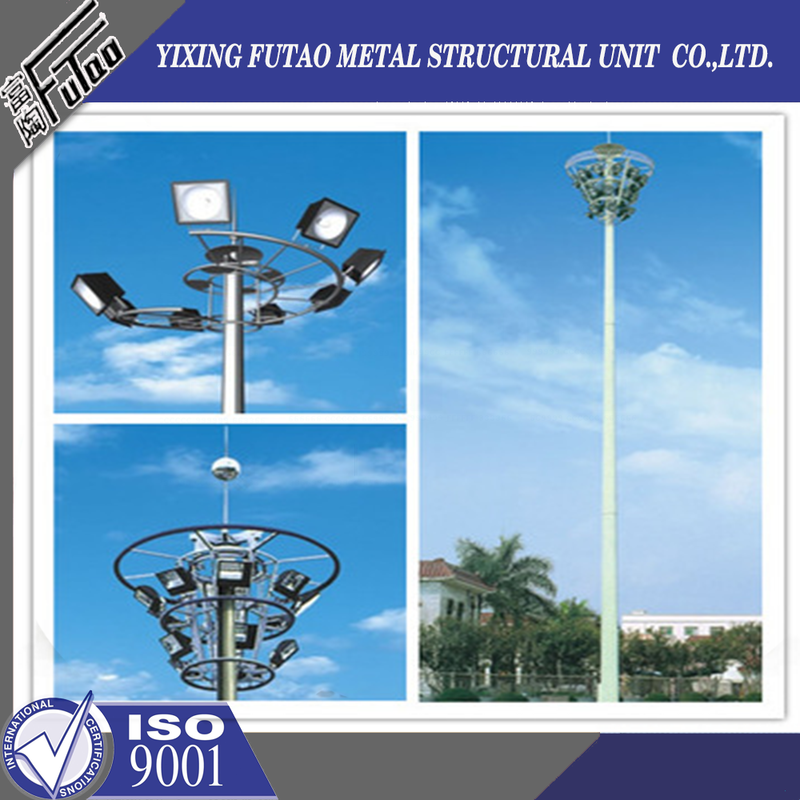 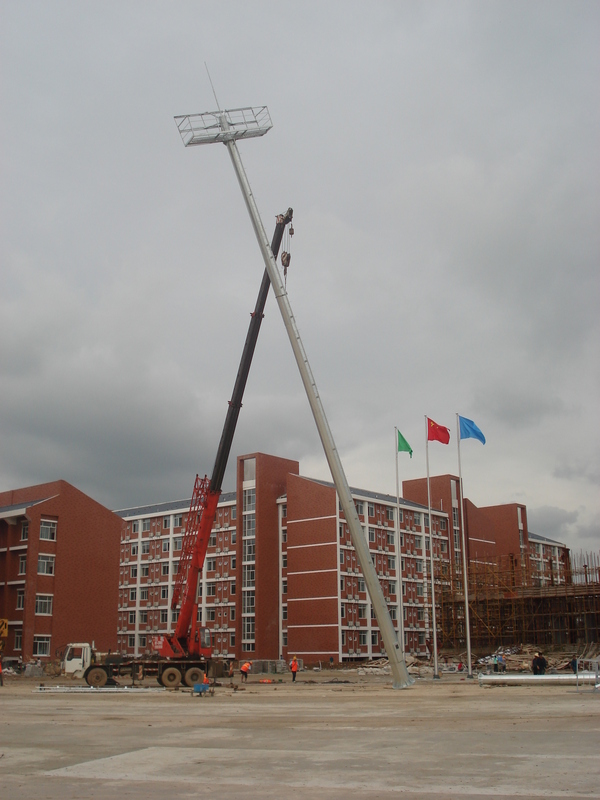 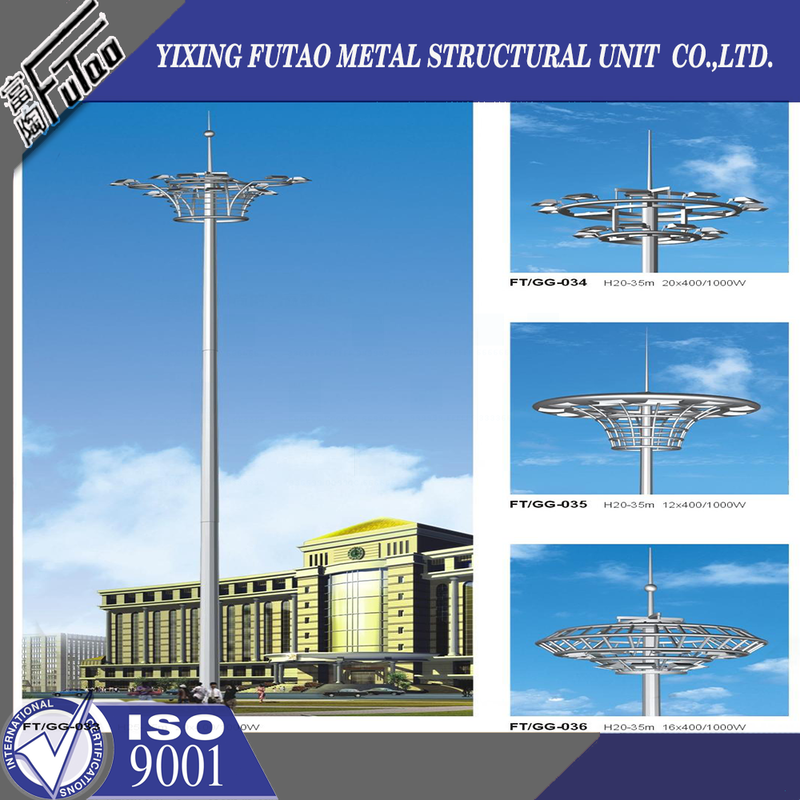 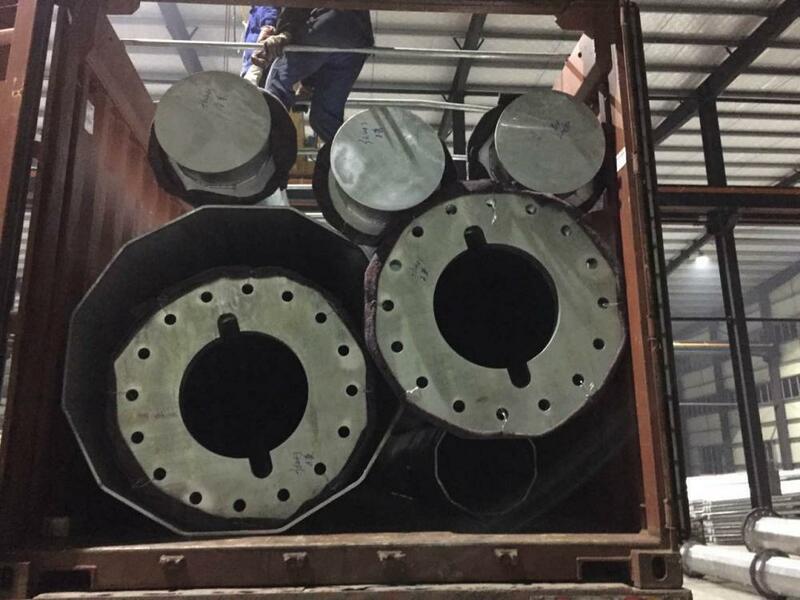 FUTAO has designed and manufactured 30m 35m High Mast Pole with Football Fields for clients throughout the World for over 15 years. 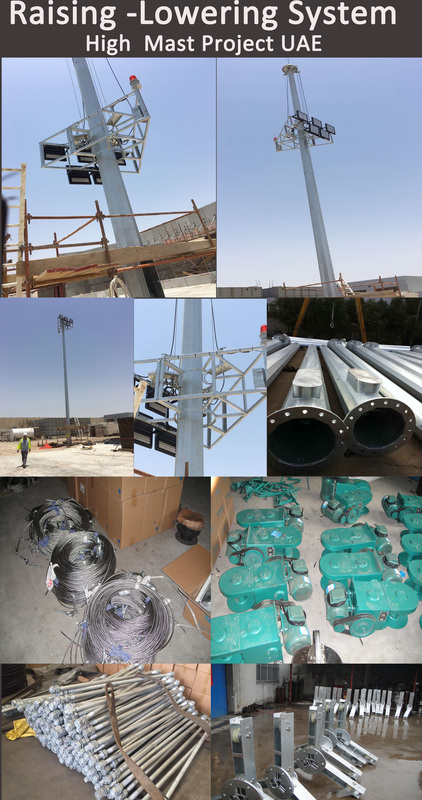 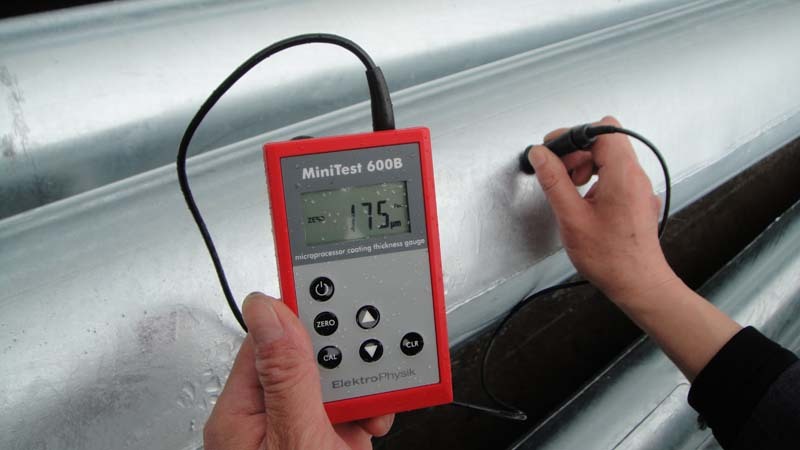 During this time we have gained a wealth of experience in the structural, mechanical and electrical aspects of high mast design, production and maintenance. 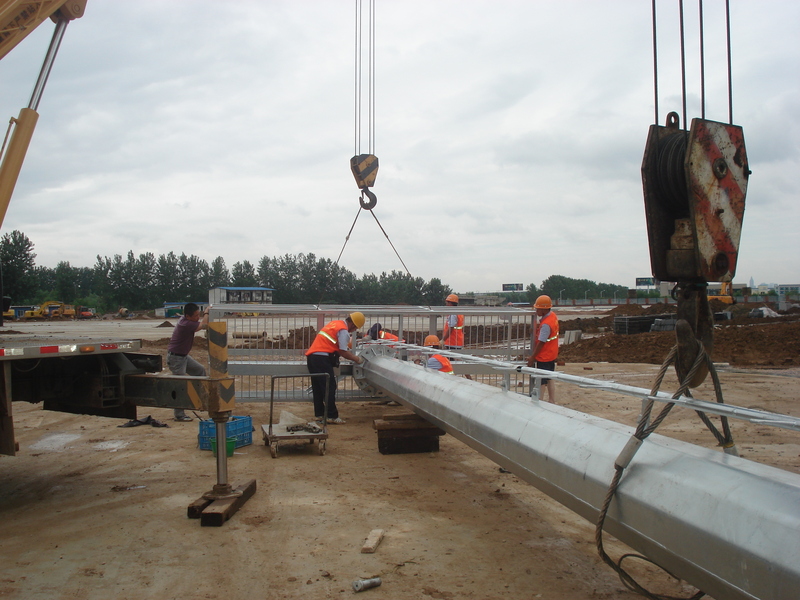 Our 30m Mast Poles offer ease of maintenance with a simple and effective winching system which allows the lighting ring to be lowered to ground level for lantern maintenance. 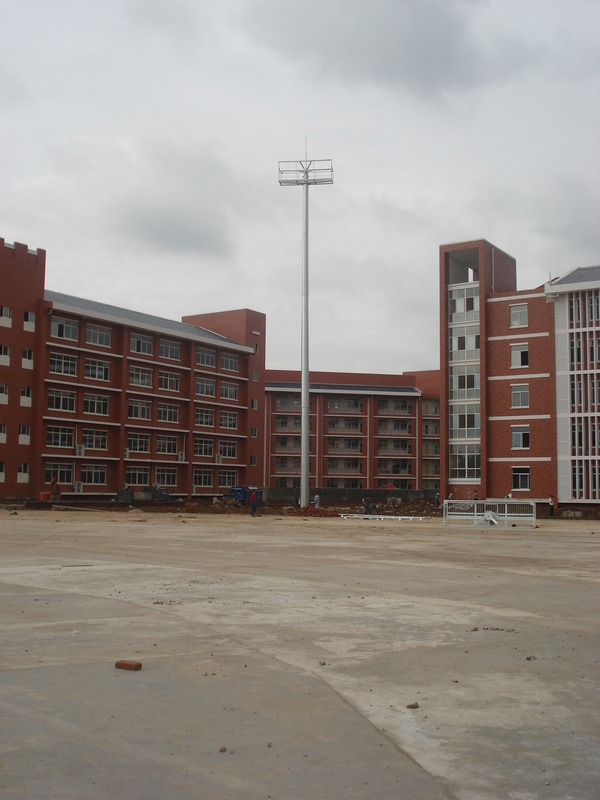 OurHigh Mast Football Field normal cover by Mat or straw bale at the top and bottom ,anyway also can following by client required , each 40HC or OT can loading how many pcs will calculation base on the client actually specification and data.